Antares consists of a Day Bar, a 250-seat Modern Australian restaurant, 13 Villas, an infinity Pool, the Beach Club and a Store. Antares is open 4pm onwards and is located at Orzan, Small Vagator, Vagator, Goa. Lunched this November, ANTARES by Sarah Todd is the hottest new destination in Goa. Antares, named after Sarah’s zodiac sign, is the brightest star in the Scorpio constellation. 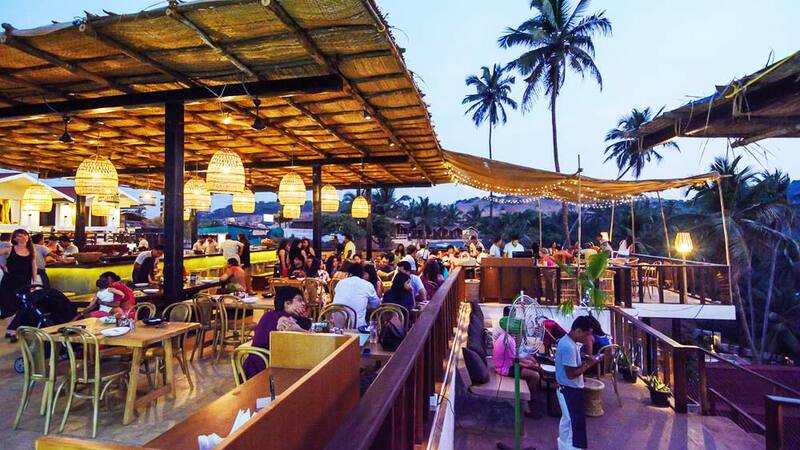 Located on the stunning Vagator Beach, Antares is an avant garde restaurant and beach club. Renowned restaurateur Ashish Kapur of The Wine Company, Dimsum Bros & Yo China has collaborated with Australian Masterchef finalist, Sarah Todd to put together this architectural showpiece with awe inspiring views of the sea. Overlooking the mesmerizing waters of the Indian Ocean, Antares was designed by Ashish Kapur and Sarah Todd and implemented by Australian design firm, Ortolan. Just like the menu, the interiors have also been given a very earthy and contemporary feel with the usage of wooden furniture against the cool grey walls in the restaurant and bar. “It feels like a dream to have my own restaurant so soon after my journey in Masterchef. This being my first venture, I was certain that the quality of the food was of utmost importance for which we have collaboratedwith the country’s most ethical and sustainable growers to source ingredients that results in delicious organic and pesticide free produce. The cuisine is going to be simple with fresh ingredients, exotic flavours, classic cooking techniques and an injection of flavour through a charcoal grill, asthis is a key part of Australian cuisine,” shared Sarah. The restaurant also has a stunning installation of LED lights showing the constellation of Scorpio. The cozy villas are set beautifully overlooking the infinity pool while the Beach club makes for a stunning location against the pink skies at sunset. Antares presents itself as a seafood haven with exotic dishes like Tempura prawns, Charcoal grilled red snapper and the Clam linguini to name a few. Vegetarians have a lot in store from theGrilled field mushrooms to thedelicious Potato gnocchi with truffle béchamel and Roasted pumpkin smoked paprika. Meat lovers can enjoy the Antares special pizzas with Kheema, LambRoast, Mutton or Pork. The perfect end to the meal would be Chef Todd’s special and deliciously filling Dessert platter or the light and airy Australian Smashed Pavlova. Accompanying these delicacies are the splendid concoctions put together by Australian bartender Nathan Ford. The freshness of these fruity cocktails leaves you asking for more. The bar has a variety of specials from classics like Kiwi Blueberry Mojito to drinks like the exotic Coconut sorbet champagne float that is a blend of sparkling wine with made in house coconut sorbet. Ashish Kapur, Founder and co-partner at Moods Hospitality said, “We wanted to give guests at Antares a reason to stay through the day – the beach club with lounge beds and all day snacks make it the perfect location to spend the day with the action moving to the fine-dining restaurant set atop the cliff in the evening, that is perfect to enjoy the sunset accompanied by exotic cocktails, music and dinner”. 5 creative marketing for restaurants this festive ..